The regeneration project, led by the Frank Whittle Partnership, has been honoured with The Royal Town Planning Institute’s top regional award for Creating Economically Successful Places. 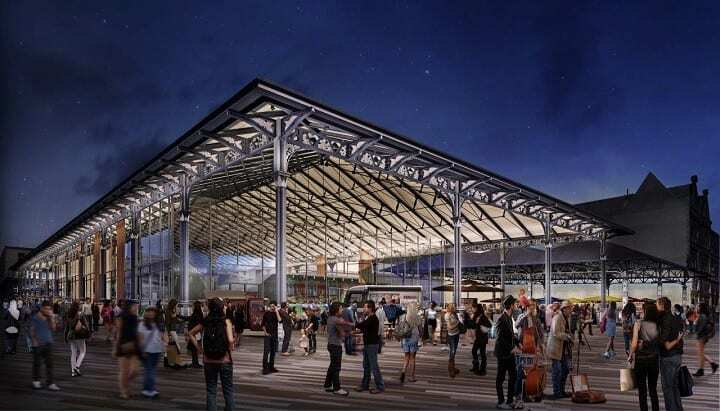 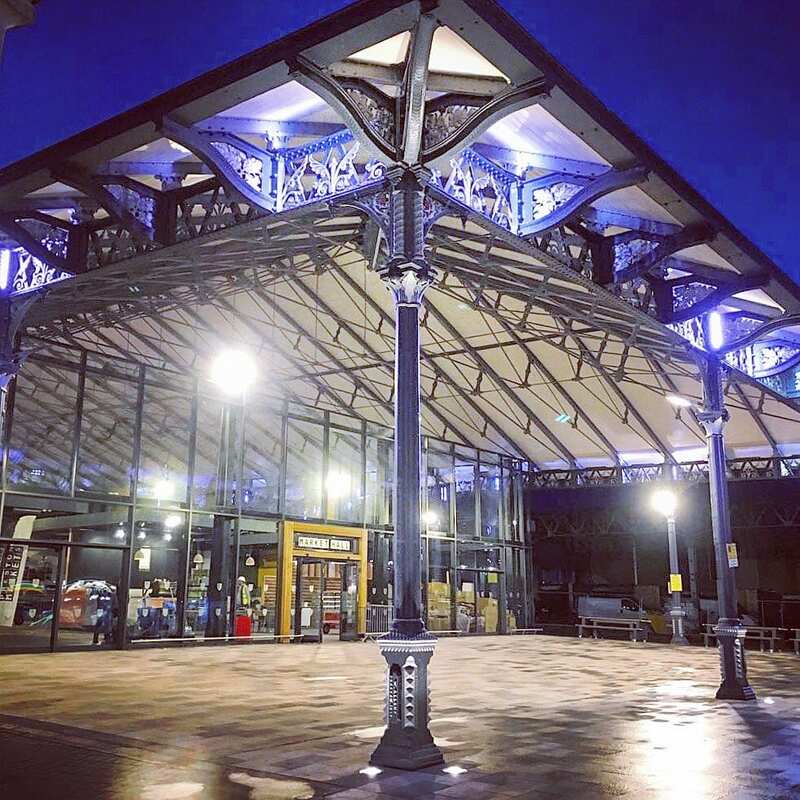 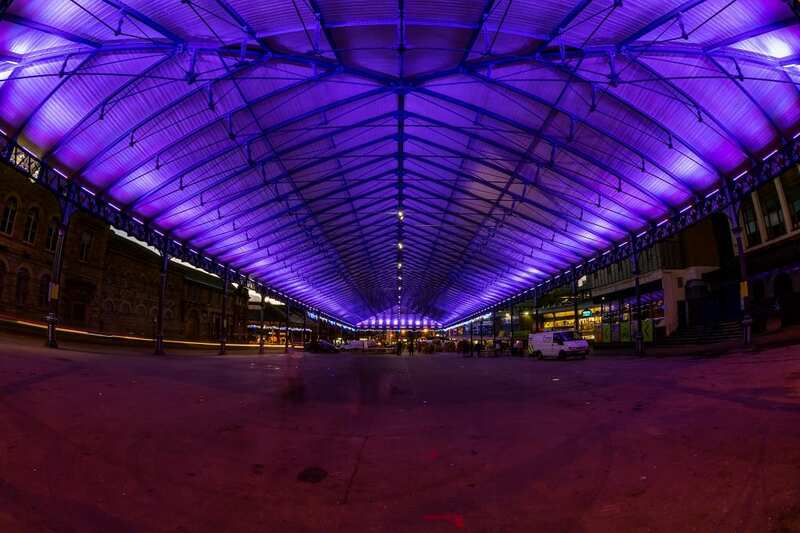 The restoration of the two adjacent market canopies – the 1924 Fish Market and the much larger 1875 Covered Market has attracted significant praise and has acted as a catalyst for further regeneration. 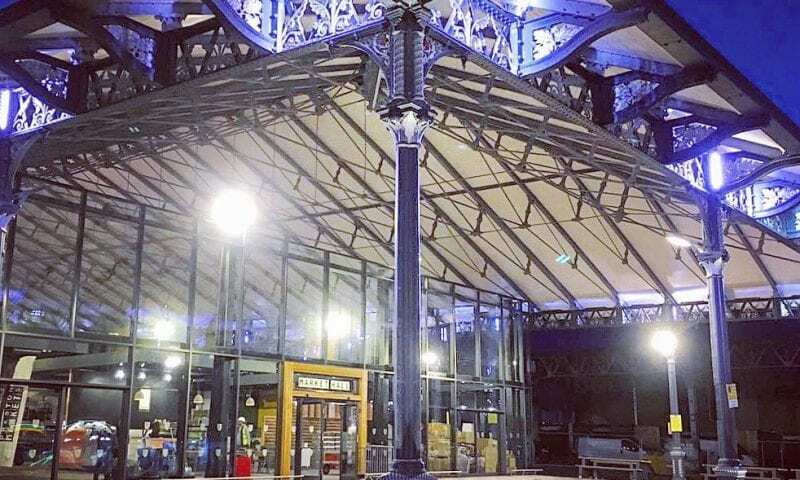 Both markets are listed and comprise open of access areas under ornamental steel-work punctuated by large cast iron columns. 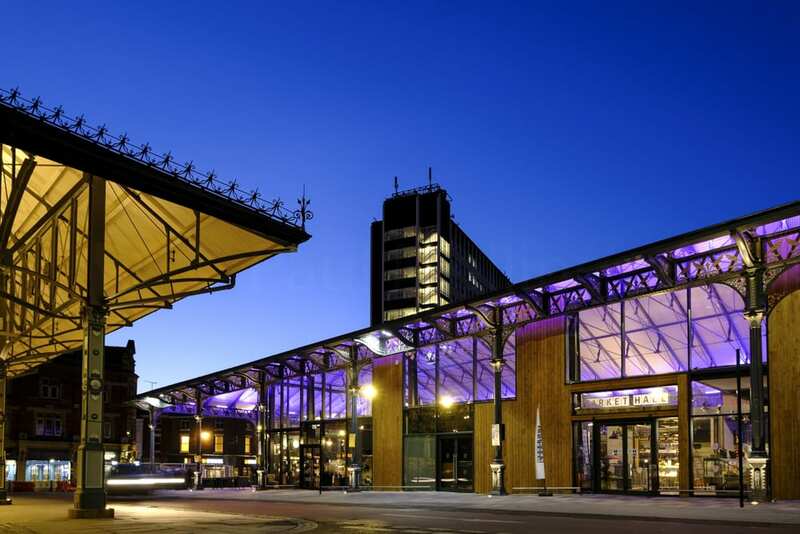 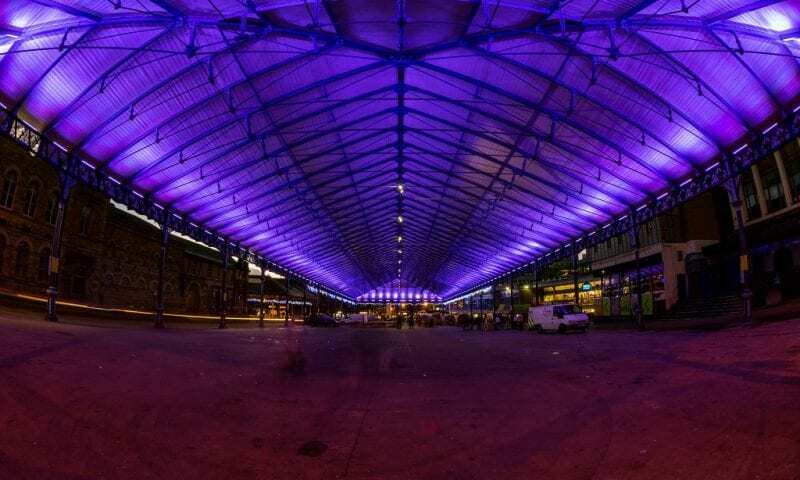 Intecho where involved from early planning stages to assist with the design and control strategy for the full lighting controls throughout the regeneration. 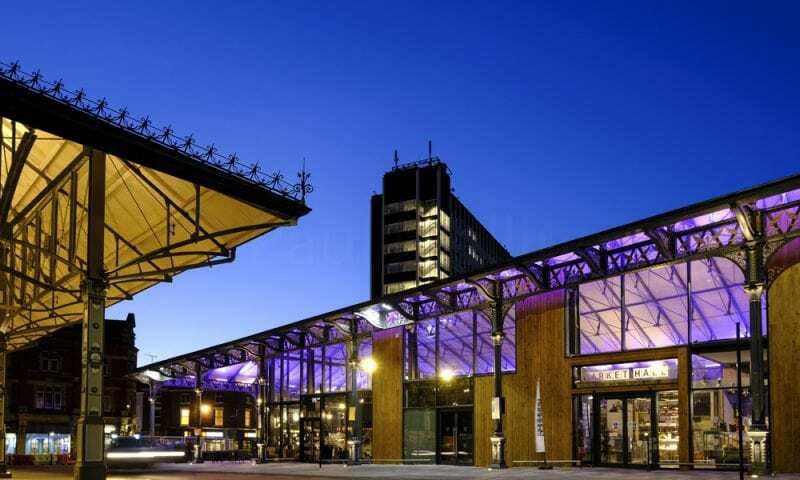 We also provided remote energy metering for each stall.